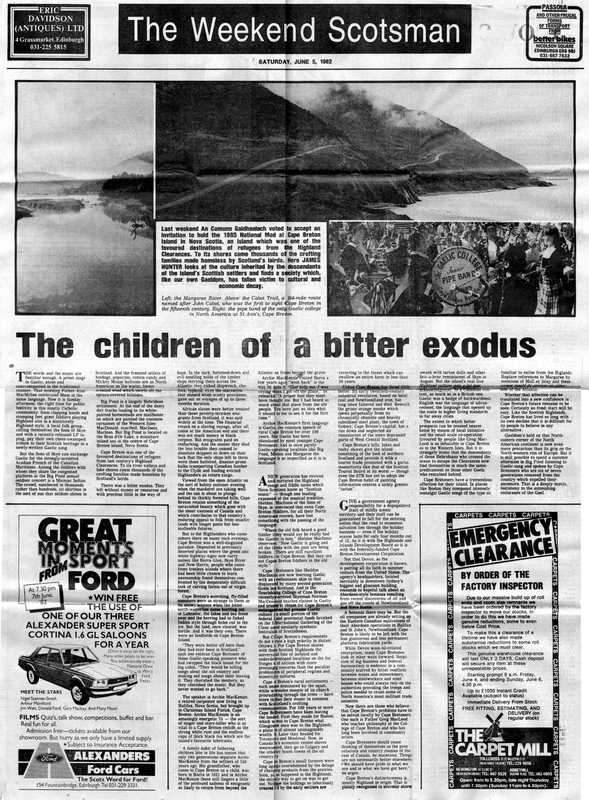 An article from The Weekend Scotsman printed on June 5, 1982 about the emigrants from the Isle of Sky. I had to scan this in four parts and join it together which while not perfect is I think readable. 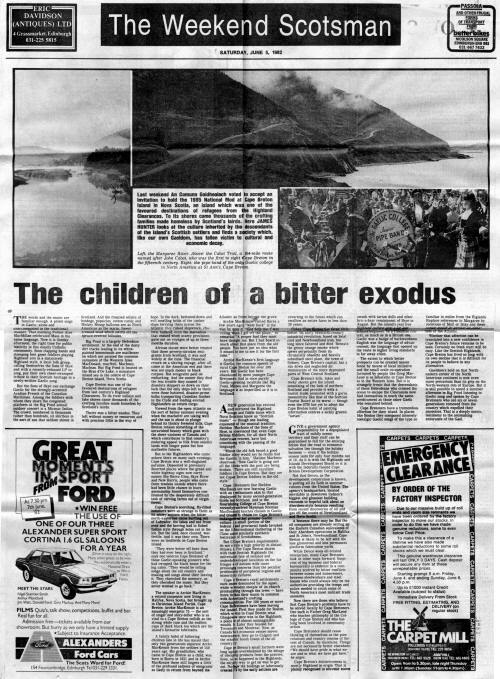 I might add that this page came with a book I purchased entitled Skye Pioneers and "The Island" by Malcolm A. MacQueen. There is no publishing date to the book but an entry in the inside cover is dated Dec 31/29.